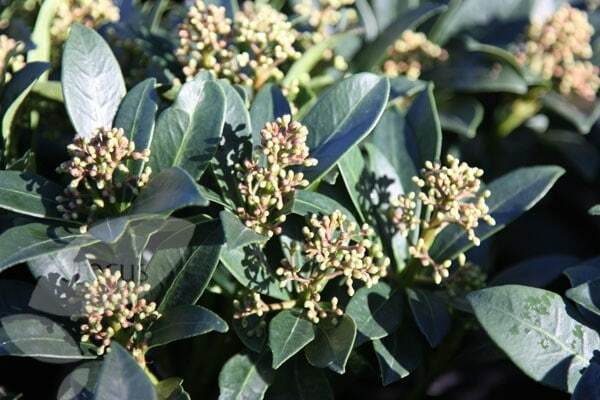 A spreading, evergreen shrub with white flowers in April and May and slightly aromatic, lance-shaped, dark green leaves. This award-winning shrub provides much-needed colour in the winter garden. 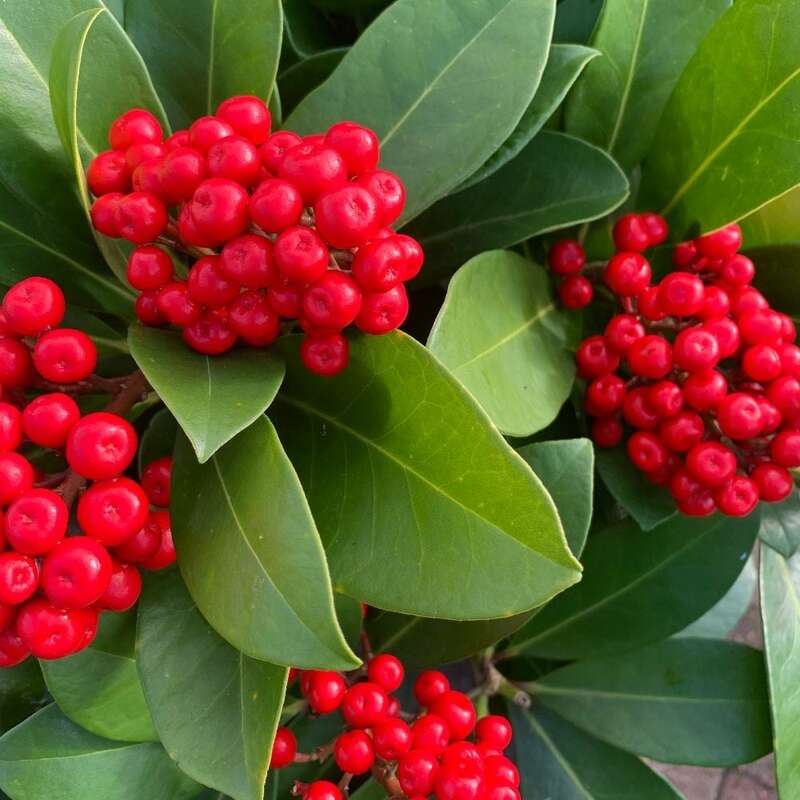 Ideal for a shady shrub or mixed border, the flowers are followed by long lasting, bright red berries as long as a male variety is planted close by with ('Kew Green', 'Rubella' or 'Fragrans' would be ideal). Wanted female skimmia to plant with males so I would get berries. Had to wait a while for plant to become available. However it was delivered promptly by Crocus when it did. Plant was small but in good condition. Maybe it is taking its time to settle in: Leaves green and it has grown quite a bit no sign of flowers as yet while the other two older skimmia are setting flowers. They are in a moist shady area of garden with a Mahonia (which is currently flowering). Green is good, flowers and berries will be a bonus; joy of gardening is watching the seasons and knowing that every year will be different but no less interesting than the past just by experiencing all that unfolds.